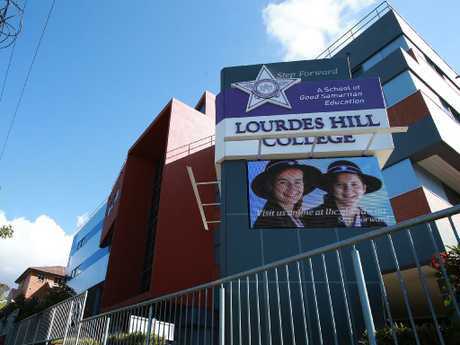 Lourdes Hill College, in Brisbane's east, told the grade 11 student, who did not wish to be named, to "wear a hat at all times" after she turned up to school with her head shaved on Monday. Despite raising close to $1000 for the Leukaemia Foundation's World's Greatest Shave, the girl was allegedly told to cover her bald head on school property, a move that has created controversy among parents and students. 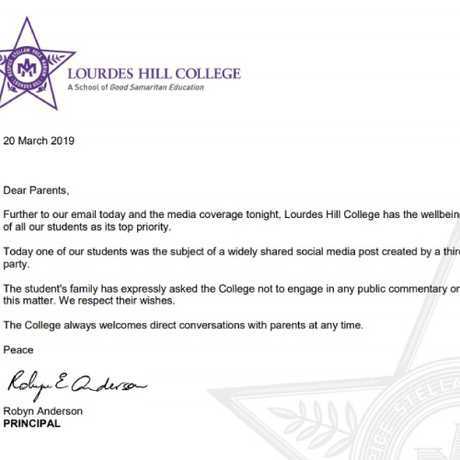 Public outrage, and even a classroom rebellion led by the girl's peers, forced the school's principal, Robyn Anderson, to issue a letter to parents yesterday informing them that a "face-to-face apology between the teacher and student happened" that morning. The school has since made the teacher apologise to the girl and her family for the distress she caused. The story was originally shared on Facebook by Deanna Tezak, the mother of a Lourdes Hill student, and quickly went viral, as people expressed their anger at the "shameful" act. In the most recent letter, Ms Anderson told parents that Ms Tezak's post, and the intense public scrutiny that followed, forced the school to hire a "media strategist" to help. "Since we became aware of this post we have had a media strategist on site working closely during each step," Ms Anderson said. "Our student remains our focus, and we are in constant contact with the student's father." 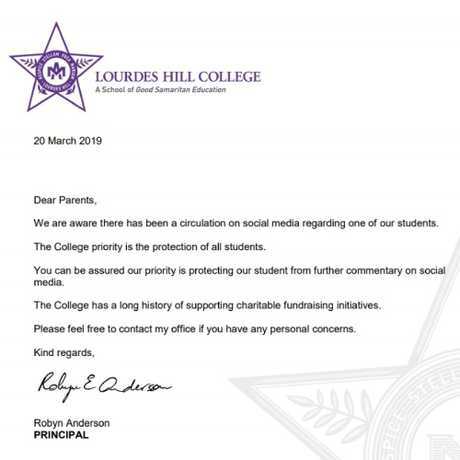 Despite hundreds of comments online condemning the school's treatment of its student, Ms Anderson closed her letter with an unusually chipper note, claiming it was "great to see the students in classes today enjoying their learning". 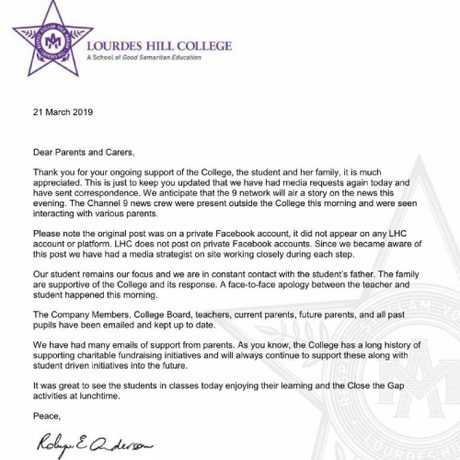 Lourdes Hill College has sent a letter to parents about the incident. 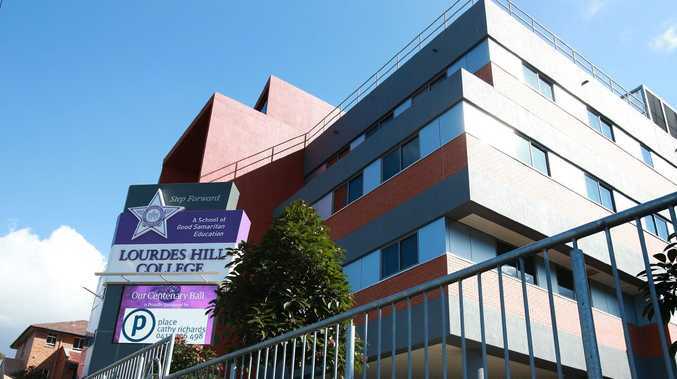 Speaking to news.com.au, Ms Tezak said she had received more than 250 private messages "from past and present students as well as parents in support of this girl". "The public donated to her cause and has now reached more than $3300." 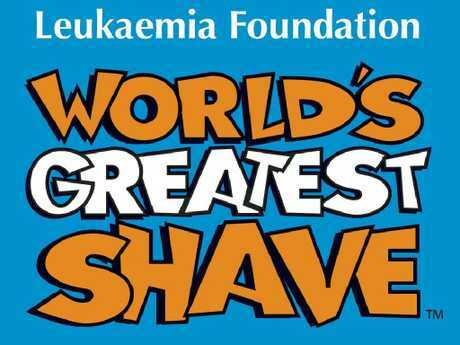 The World’s Greatest Shave raises funds for the Leukaemia Foundation. Ms Tezak's now viral Facebook post described the alleged treatment that followed the girl's selfless act. "This particular girl was advised that she was not allowed to remove her hat at any time during the day because her head was shaved, for a great cause," Ms Tezak wrote. Ms Tezak claimed the girl was "humiliated and reprimanded" by a teacher because she had shaved her head. "This teacher then went out of her way to ask other teachers if she had her hat on in class (in 35 degree heat)," she wrote. "When this female teacher found out that she had taken her hat off in class, she was pulled out of the classroom, in front of the other students, and reprimanded for 20 minutes before being allowed back into the classroom." 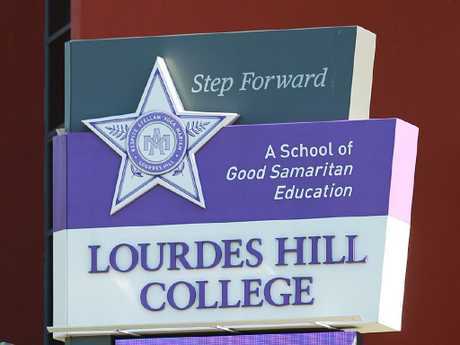 Lourdes Hill College has found itself in an embarrassing public scandal this week. "Not only did she raise money, she had the courage to shave her head," Ms Tezak said. "What kind of message do you think this is sending to the rest of the students at the school?" "And it we get told to take our hats off in class, we stand together and say no," the post said. In the first letter, Ms Anderson, assured parents the college "has a long history of supporting charitable fundraising initiatives" and the protection of students was a major priority. 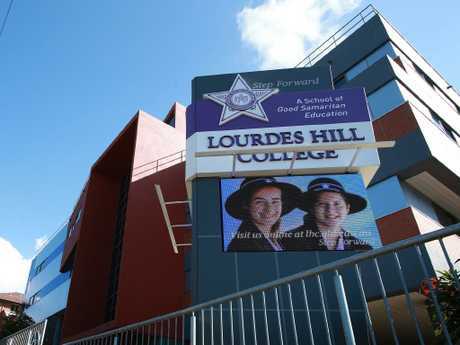 Lourdes Hill College principal Robyn Anderson sent a letter to parents welcoming comments from parents. She did, however, strongly encourage "direct conversations with parents at any time". Another letter, sent by the principal to parents encouraged parents to contact the school directly with concerns. According to Ms Tezak, the school administration called an "emergency assembly" yesterday to address the issue. "How are you, as a student, supposed to feel when you do this fantastic thing by raising money for a charity, then you get to school and get torn down for it?" she said.